“Annandale United Methodist Church,” braddockheritage.org/, accessed April 24, 2019, http://braddockheritage.org/items/show/3. The Annandale United Methodist Church was built in 1846. During the Civil War, the Union Army used the church as a hospital, then burned the building and the village of Annandale as it withdrew from the area. A new building with a small balcony for African American worshippers was finished in 1870. The first public school classes for Annandale children met in the basement of the church. The bell, added in 1908, served as Annandale's only fire alarm until 1923. 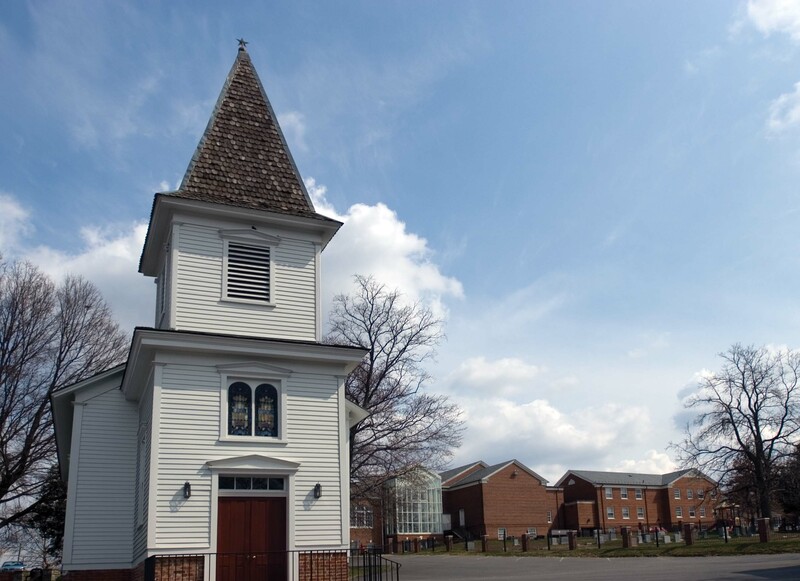 The church stands on the corner of Columbia Pike and Gallows Road in Annandale, Virginia.